Kiev and Moscow have failed to resolve their gas supplies dispute, Ukrainian President Petro Poroshenko said after meeting Russia’s leader. According to Putin, only an agreement for winter supplies has been reached, but details are still to be worked out. “We agreed on the basic parameters of the gas contract,” Poroshenko told reporters in Milan where leaders from Europe and Asia gathered for the ASEM Summit. According to the Ukrainian president, the Ukrainian side is looking for sources of funding to pay off the arrears. But emerging from a meeting Russia’s President Vladimir Putin later in the day, the Ukrainian leader said that no agreement had been reached. 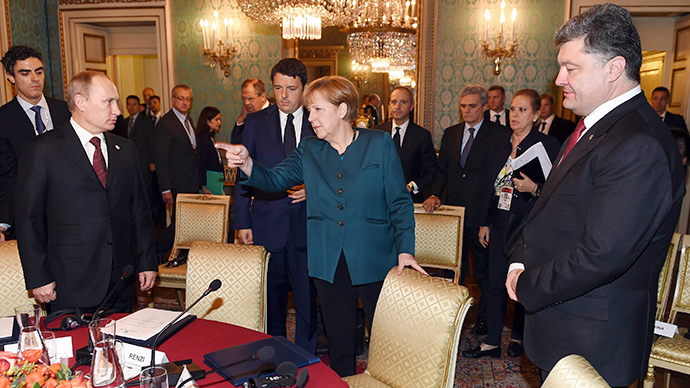 New talks have been scheduled for October 21; the EU is once again set to mediate the process. “We have failed to reach any practical results,” Poroshenko told reporters after a 45-minute meeting with Putin. He noted that “some progress” in the dispute but said that details are yet to be worked out. Vladimir Putin, on his behalf, stated the two countries agreed on terms of gas supplies “at least for the winter period”. "The current issue is cash deficit in Ukraine," Putin said, calling on Western partners to help Kiev overcome the crisis. Russia is not ready to supply gas to its eastern neighbor without pre-payment. He said that Kiev still owes Moscow some $5.5 billion, but is ready to reconsider this sum and a provide a discount of $100 per one thousand cubic meters. This will reduce the debt to $4.5 billion. 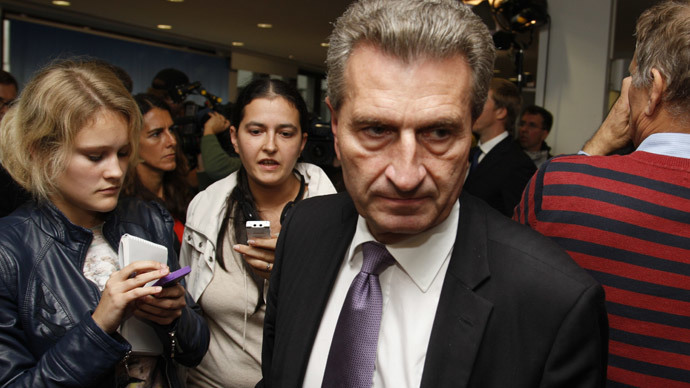 At the last round of gas talks held in Berlin along with EU energy commissioner Gunther Oettinger, it was agreed that Ukraine would start paying back Gazprom $2billion of its $5.3 million debt, and Russia would turn back on supplies. So far no further detail has been provided, but trilateral talks between Russia, the EU, and Ukraine will again be held on October 21 in Brussels. The gas price and payment schedule have been key stumbling blocks in the dispute. Russia offered $385 per 1,000 cubic meters of gas, less than the $400 average for European clients, but Kiev argues the price is too high, and wants to set it at $285 per 1,000 cubic meters. Europe counts on Russian natural gas to meet about one third of its energy needs, and 50 percent of the gas travels through Ukraine. If Moscow cuts off deliveries via Ukraine, 15 percent of Europe’s gas will be at risk. 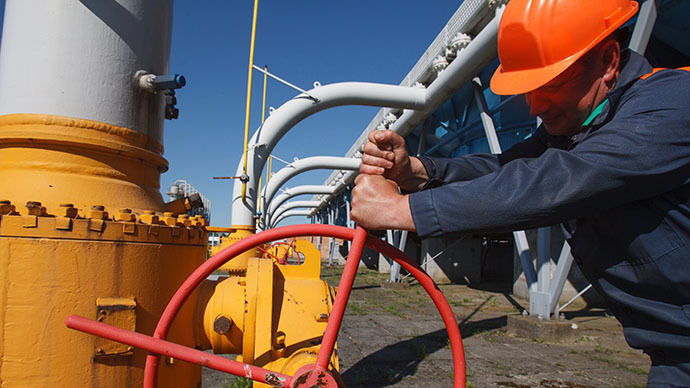 Moscow will supply enough gas to Europe this winter, but says Ukraine remains a wildcard. If Kiev siphons off gas intended for European customers, Moscow will be forced to reduce gas supplies. Russia turned off the gas to Europe via Ukraine in 2006 and in 2009, over similar pricing disputes with Kiev. A prolonged supply disruption would have a substantial impact on the EU, the European Commission warned on Thursday. Latvia, Lithuania, Estonia, Finland, Bulgaria and the Czech Republic import 100 percent of their natural gas from Russia and would be affected most by a cut in supply, as they would be without at least 60 percent of the gas they need keep the heat on. 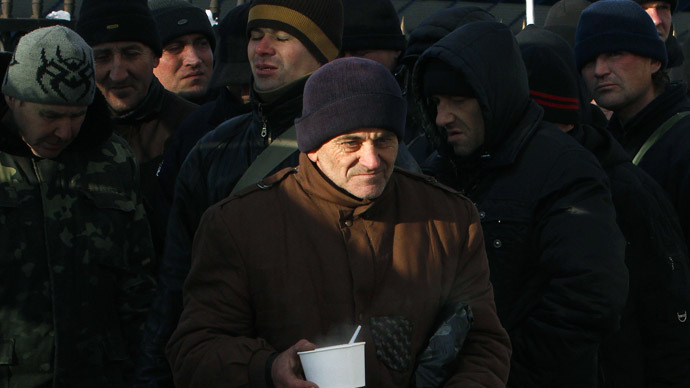 “This means that even private households could be left out in the cold. If countries work together, instead of adopting purely national measures, then fewer consumers will be cut off from the gas,” the EU statement said. Ukraine has already been preparing for shortages in central heating, with some stocking up on dirtier energy sources like wood and coal, just in case they have to survive the winter without gas.